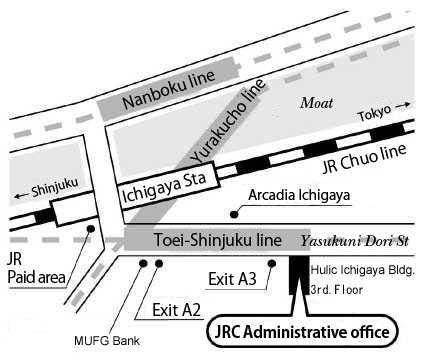 Our office is conveniently located along Yasukuni Dori Street near JR Ichigaya station. Get off JR Chuo local train at Ichigaya station. Follow Yasukuni Dori Street toward Yasukuni shrine for about 4 minuets. We are on the right side of the street. Year end/New Year holidays and Summer holidays. Our office handles administrative works such as delivering publications and do not supply information on railroads. * We do not receive E-mails. Please write or call when necessary.